HELLO BEAUTIFUL! 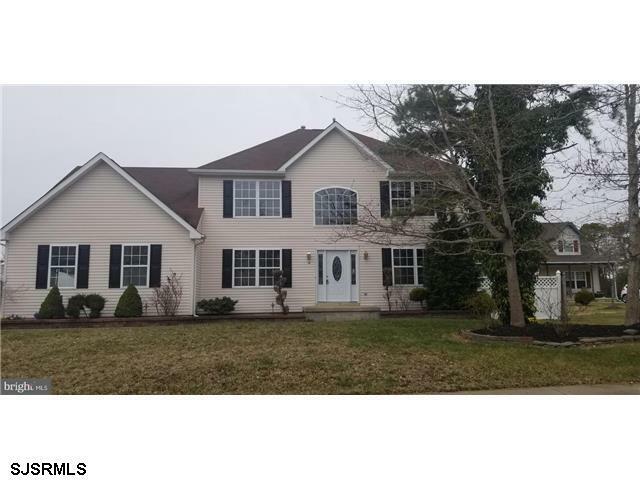 Egg Harbor Township home with all the bells and whistles. This 4 bedroom, 2 and a half bathroom home offers an abundance of upgrades, it is a true must see! NEW open eat in kitchen with stainless steel appliances and a large island providing lots of storage space, NEW custom tiled bathrooms, hardwood floors, paint, lighting, and ceiling fans. Open concept floor plan from kitchen to dining area to living room. OVERSIZED master bedroom has its own private bathroom with whirlpool tub and shower. French doors lead into the open inviting fenced back yard perfect for entertaining. Lastly, don't forget the 2 car attached garage and large basement. Upgrades include new A/C, granite countertops and new carpet, along with fresh landscaping. Painted basement and garage floors with indoor and outdoor entrances Schedule your appointment today.